It was in the fall of 2011 that I first considered leather not as a piece of apparel or furniture, but rather, as a vehicular choice. I was at a Subaru store in Fullerton, CA, assessing the available exterior/interior combos on a then-new Forester. If fading memory serves, the top-of-the-line XT offered a leather interior (and turbocharged power), but did so at a window sticker of almost $30K. The base Forester, which in my this-is-a-third-car mentality and costing but $22K, offered a medium gray exterior (doesn’t show the dirt!) with a light gray cloth, which – of course – shows all the dirt. The salesman mentioned available, dealer-install leather, and I was sold. The leather, made by Katzkin, was installed in the Forester prior to delivery, and seven years later still looks almost new. 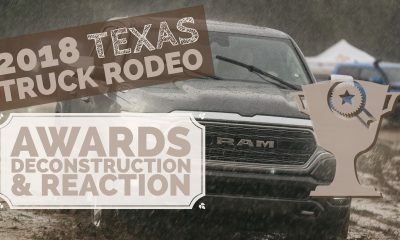 More recently, the Texas Auto Writers conducted a writing competition, something they call ‘Excellence in Craft’. The intent is to recognize good writing among both members and non-members of the TAWA. And as you read this it may be hard (if not impossible) to fathom, this writer won. 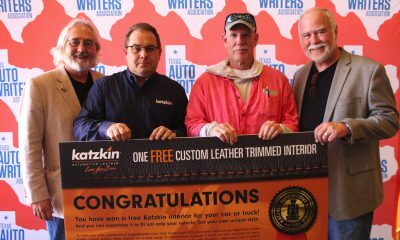 And with the roomful of trophies that winning entails, I also received – via Katzkin Leather – a new interior, this one destined for a ’14 Subaru Crosstrek. And I’m here to tell you…whether you buy it or it’s given to you, a leather interior for your base, entry-level anything is worth having. If in the market for a new car, you’ve probably done the math. 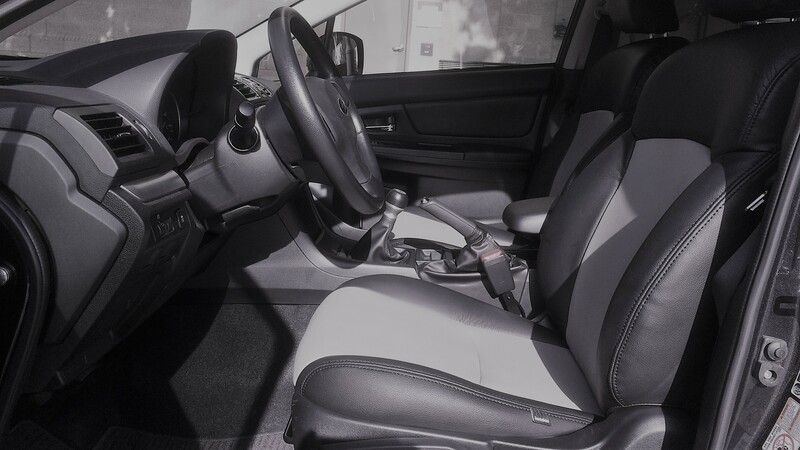 Leather interiors are readily available, but typically only on the top trim levels, and typically tied into a number of other adds you may – or may not – want. On more vehicles than I can count I can easily add leather, but pulling the trigger on leather means also getting (and paying for) audio upgrades I won’t hear, navigation I won’t use and a sunroof I’ll rarely – if ever – open. And with all of that, the leather – with a retail of $1500 to $2000 – ends up costing between three and five times that $1500 to $2000. 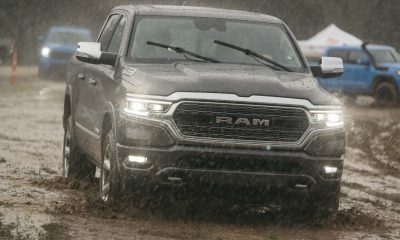 Beyond the Subaru, a classis example is our next Jeep – while admitting we don’t know when, exactly, we’ll pull the trigger on that next Jeep. But as I understand Jeep’s ‘Build Your Own’ component, if I want leather on the new Grand Cherokee we need to commit to a mid-level Altitude (and that’s leather with a suede insert), which runs some $6K more than the entry-level Laredo. And as noted, the upmarket version comes with a host of ‘stuff’ I/we have no interest in. 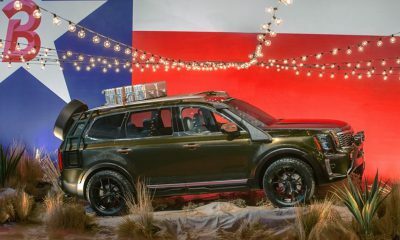 Better, I think, to pop for the Laredo and spend something under $2K with the folks at Katzkin; I get the durable, attractive interior I want, along with a durable, attractive Jeep good for ten to twelve years of ownership, which has been our recent history. Katzkin’s selection process is intuitive, and installation is as simple as requesting it at your dealership, or letting your fingers do the dialing/clicking. 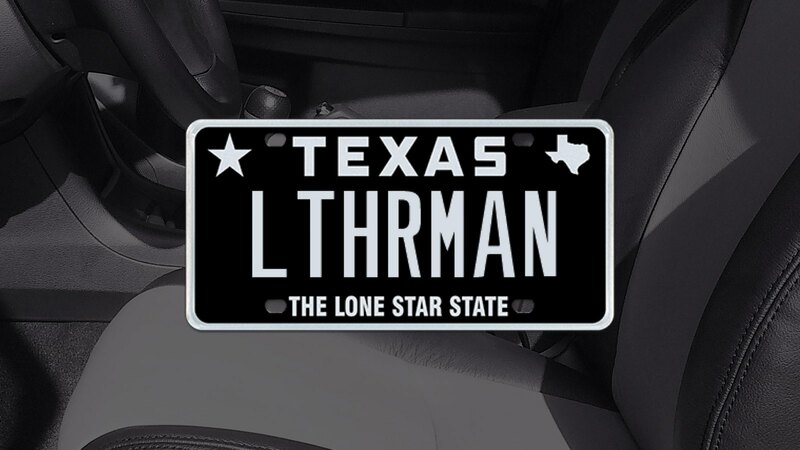 With the Crosstrek based in Dallas we were referred by the Katzkin team to Southside Trim in Fort Worth, immediately south of D/FW Airport. There, operations manager Dez Welcher confirmed the arrival of our interior kit and scheduled us for a Friday. I dropped it at their facility Thursday night, and it was ready for pickup before 2:00 on that following day. In the Southside facility they had roughly a dozen new cars, trucks and/or SUVs awaiting an interior installation. Most of Southside’s work is provided by dealerships, but they’re happy to accommodate the retail walk-in. If I had been paying for my Crosstrek installation, the two-tone interior (black with a light gray insert) would have been just under $1500, plus tax. Currently, the stairstep to leather on a Subaru showroom is $5,300, which gets you from the base 2.0i to the 2.0i Limited. Of course, you get more than the leather from Subaru for that money, but you don’t get what I’d most want – another 50 horsepower.